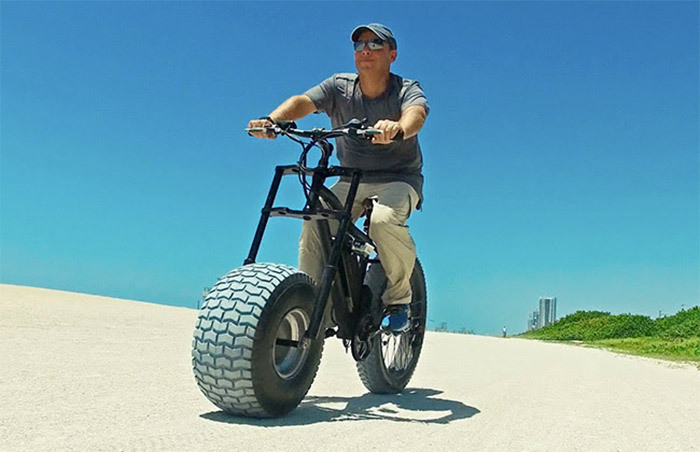 Made by a Miami, Fla., company called Xterrain Inc., this all-terrain electric bicycle has massive rubber to roll over beach sand. 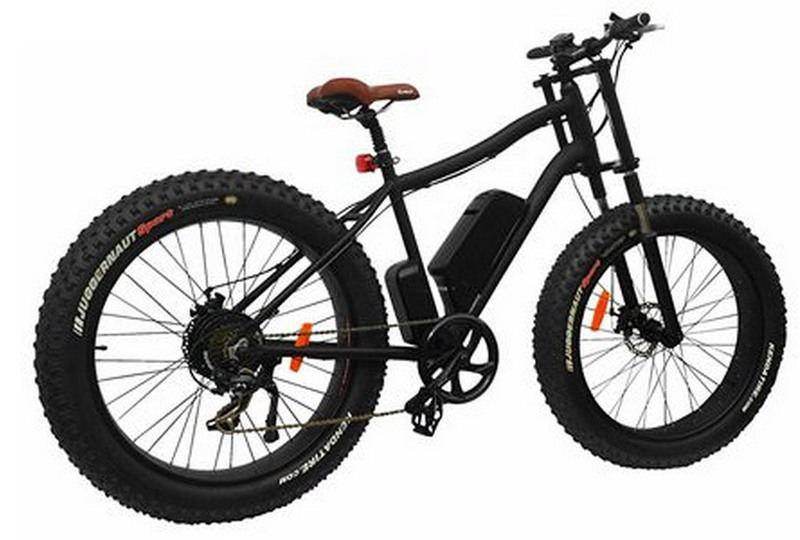 It has a 4.6-inch rear tire and a 500-watt motor for pedal-assist. A special fork lets you swap the massive rubber up front for a normal fat tire when less float is required. 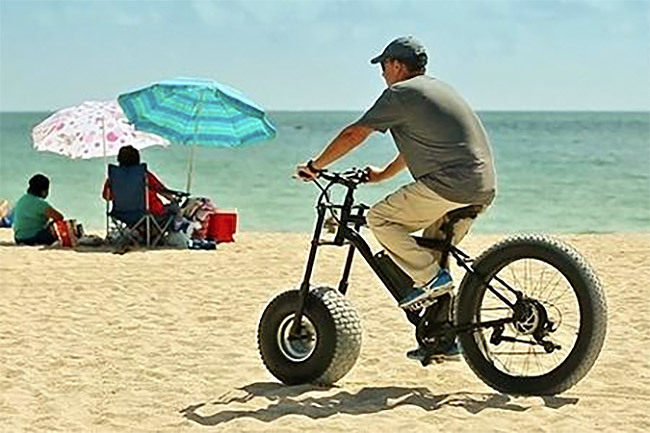 Snow is mentioned in the marketing copy, but the Florida company is emphasizing biking on sand. The bike is a beast, weighing up to 70 pounds with its motor and huge tire up front. It will cost about $1,600 when available this fall. The company is planning a fundraising campaign soon to jumpstart production. Xterrain quotes a maximum distance of about 20 miles at a speed of 20mph before the battery runs out and you’re left to push the big rig home along the shore.